Hotel Star Palace is a beautiful hotel with tasteful interior decor and an inviting overall ambience. 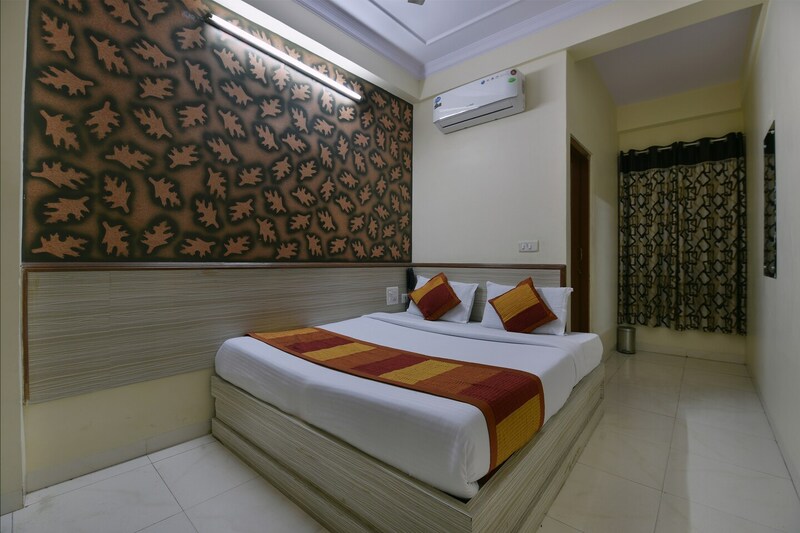 The bedrooms at the hotel appear cosy and comfortable with light coloured walls and woof furnishings while one section of the wall is textured. The hotel provides its guests with free Wi-Fi and power backup so that they can remain connected with the various social networking sites and not miss any important update. Other amenities offered by the hotel are a geyser, a room heater, a seating area, an elevator, and parking facility. The card payment option present at Hotel Star Palace allows its guests to go cashless and conduct any payment with less hassle.